Protect yourself with the Hero's Edge Valiant Heavy Crusader Foam Shield! This detailed shield is crafted with flexible and durable polyurethane material and features a resemblance to metal. 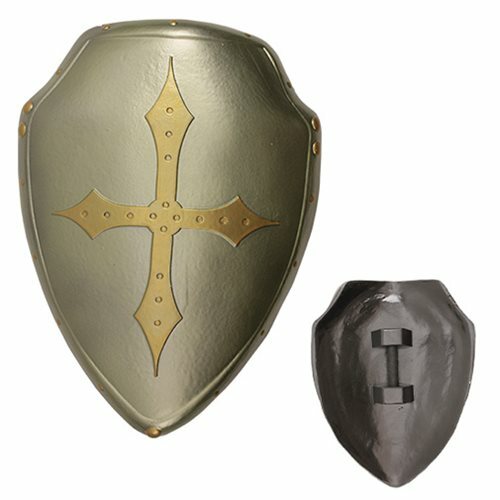 Complete your cosplay or roleplay with this Valiant Heavy Crusader Foam Shield. Shield measures about 21-inches tall by 17-inches long.